I'm at a point where I like it but exist in a bit of an echo chamber. I'd love to hear suggestions on what people would like from a game like this. I come from a background of playing a lot of TF2 and having an intense love for what can be done with FPS movement, and I'd like it to be a big focus. Along with the free-rotation based flip tricks there is lots of fun can be had. Let me know what you think! The only thing that's sort of throwing me is the camera, like it feels natural to want to be looking up and forward at all times (for environmental context, where you're going, etc) but you end up looking down at the board a lot from what I can tell. Maybe there's a way to increase the vertical FOV? I'm getting almost claustrophobic vibes when the camera pans down to the board but you're still moving forward quickly. If it's a free-control camera then it's probably not so bad. BUT it's looking rel gud, I would definitely play this. Good stuff! This looks neat. When you wipe out, I'd like to see the camera go 3rd person so I can see how mangled the skater gets when you mess up some ridiculously intricate move. Do you have any flip moves implemented? Didn't see any of those in the trailer. They sound like they'd be... weird in first person. This looks very promising. Love the art style and the music. Curious about the controls, how do they work? @all, thanks! Really nice to hear. @Tuba normally the camera is completely free. If you're in the air and hold right click, then you can drag your mouse along an axis (up/down or left/right on your mousepad) and it'll switch to locking your view and rotating your board based on whichever axis you've moved most on. To allow full 3-axis spinning, you can hold another key (currently shift) to use a different axis on the up/down. Holding shift also shows dotted lines on all surfaces you can grind on, then it's just a matter of holding it while you slide on a 'grindable' surface. I've agonized over the controls a fair bit and naturally free 3-axis rotations are difficult to make consistent, predictable and intuitive. currently the way I aim to do trick detection is to check which axes the player rotates on within certain timeframes and infer from that. Saw this on Twitter, looks really interesting, first-person skateboarding is a lovely idea. Watching the video, the movement doesn't quite appear to be terribly similar to riding a skateboard? There seems to be the ability to almost strafe a bit, and to turn so suddenly that the board looks like it rotates around the middle, rather than by the wheels. The early Tony Hawk games certainly felt like an abstraction of what it's really like to ride a skateboard, or perhaps a better way to describe it was a cartoon version, very quick acceleration and small turning circles, but the basic movement-model felt and looked like what skateboarding feels/looks like, even if it's all exaggerated. Some of that is present here, grinding looks great, for instance, but I wonder if a few tweaks to how the board turns, and how direction is changed, might really help? Oh! And one missing sound effect - the wheel screetch! When the wheels do slide rather than roll, there's that iconic friction-squeek. Really looking forward to seeing this develop. The Cat Machine is on Steam! | Tweeting about Game Dev. Looks cool so far! Is there going to be a multiplayer mode as well? I saw this on twitter, can't wait to play this!! There aren't many (good)skating games out there, so this is really awesome. Well I mean for one thing it doesn't make you feel like you're a skateboard. - a 32bit, 72khz virtual game console thinger. jmas, thank you for bringing the topic back to life! 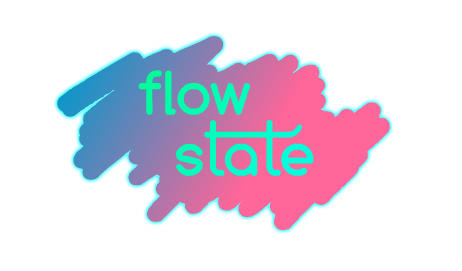 I'm still working on flow state albeit slowly. currently almost all my focus is on making Puddledash with SafetySnail, while I'm still staying with him in Australia. however I'll be returning to the long lost digital skateboarding dreamworld soon. so, to come in a little late..
thanks! regarding the movement: you're definitely right. however this is a stylistic choice - from the beginning I've been inspired by source games + quake movement. however this may only really need to apply when you're in the air (I have a soft spot for airstrafing) and the ground motion perhaps needs some tweaking, even on the level of opening up new level design options and differentiating it a bit from other games. no multiplayer planned unfortunately - it's a bit too big of a beast for me to want to grapple with as a personal project, but it's always an option on the horizon if I'm still working on this a lot further down the line. tusind tak, min ven. I actually discovered Perfect Stride really late, long after I'd started getting the core of the game in place. I emailed the dudes at arcane kids and they were SUPER nice about it all, since I obviously don't want to just be cloning their game. after playing it I'm pretty comfortable with the fact that our games seem to be heading in different directions - while Perfect Stride is keen on huge airs and momentum I'm keeping the gameplay focus more technical and trick-based. regardless, when it comes to skateboarding games: Why Not Both? Sorry if I'm missing something obvious here, but how are you controlling this? Mouse axes? Analogue sticks? VR? It looks very fluid and natural, it's a totally new take on skateboarding, so it SEEMS cool! in general as well if i'm gonna be honest the thing i hate in any skateboard game is losing a sense of flow; maybe there could be a way to mitigate that by not having true bails but still killing your combo if you don't land it? push the sound design as far as you can, make the 3D space feel wicked nice. i want this on vita specifically, for some reason. kinda wanna fly to florida and play this on a vita in a beach house. def prioritize what feels good over what feels real. keep that up. that said, VR may be a very weird proposition as it currently stands. and i think this may be cool in VR.